The HT 103 is a professional grade pole pruner for orchard and arborist work. Lightweight and compact transmission with captive nut on the sprocket cover. Increase your cutting performance with the 1/4" PM3 saw chain and 4-MIX™ engine with a simplified start system. 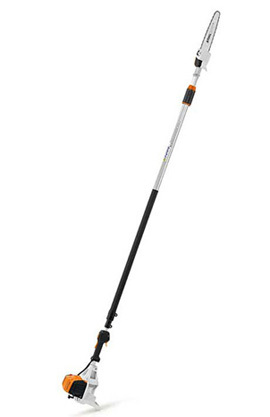 Highly ergonomic and very stable due to the reduced weight of the square-cut telescopic shaft.